The Euro-Peds Foundation is thrilled to have Bonner Paddock, Senior Vice President of Marketing and Partnership Activation, Young’s Market Company, Founder, OM Foundation (OMF), Keynote/Motivational Speaker, IMG as the keynote speaker at our First Step Gala. Each guest will receive a copy of Bonner’s book, One More Step and have an opportunity to have it signed during the event. Bonner, through his foundation and speaking engagements, promotes the idea that “any one person can make a difference if they dedicate themselves to look beyond their own personal limits to achieve their goals”. OM Foundation is a non-profit Bonner started in 2009 to build and support early learning centers for children with all types of disabilities in the U.S. and Africa. He has raised over $1 Million Dollars for special needs children by summiting Mt. 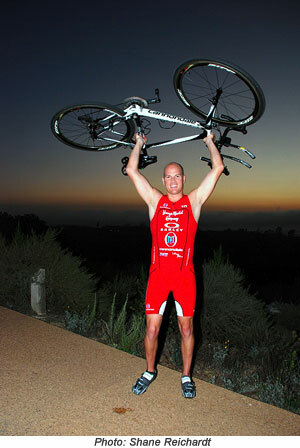 Kilimanjaro (unassisted) in 2008 and completing the Ironman World Championship in Kona, Hawaii, in 2012. Bonner was the first person with cerebral palsy to achieve both. In his role as Senior Vice President of Marketing and Partnership Activation, Bonner oversees key strategic relationships across all facets including branding, sponsorship, media, activation and marketing platforms for Young’s Market Company. Prior to joining Young’s Market in 2010, Bonner served with the Anaheim Ducks/Honda Center and was Director of SMG agency. Bonner holds a B.A. from San Diego State University in Business Management. For more information on the First Step Gala, click here.